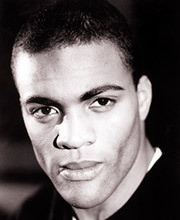 Ray Fearon’s film credits include Harry Potter and the Philosophers Stone, Kenneth Branagh’s Hamlet and The Clandestine Marriage. On television, he has made appearances in Waking the Dead, A Christmas Carol and As If, amongst others. His radio work includes Who Killed Palamino Milero? and A Raisin in the Sun. Ray has worked extensively with the Royal Shakespeare Company, with roles including the Prince of Morocco in The Merchant of Venice and Othello in Othello. Ray plays Nathan Cooper in Coronation Street.